Preschool is an exciting and fun time in a child’s life. My oldest two daughters went to formal preschool classes, while my next two have done preschool entirely at home. 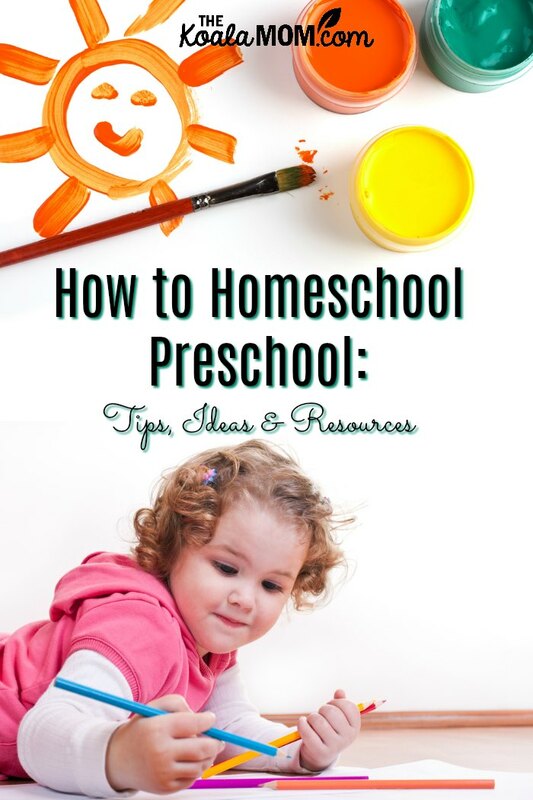 If you’re wondering what homeschool preschool looks like, I thought I’d share some of my tips, ideas and resources. For Sunshine and Lily, preschool was a chance to get out of the house and be social. It gave me a bit of a break everyday. When Sunshine was in preschool, Lily would nap. When Lily was in preschool, I did schoolwork with Sunshine (then in Grade 1). However, taking one child to preschool became less practical when I had three and then four (and now five!) kids at home. Doing preschool at home has made sense for Jade and Pearl. They see their older sisters doing school and want to be like them. There have been days when I’ve had all four girls (ages 10 to 2) sitting around the table doing school together. Pearl may only be scribbling in a colouring book, but she’s developing fine motor skills, sitting still, and learning colours and more. I’ve been amazed at how much the younger kids pick up from their older sisters. For example, Lily is a grade ahead of her age because she’s been listening in on Sunshine’s lessons since the beginning. Jade is now also starting Grade 1 ahead of her age. I’ve never pushed her; rather, she’s pushed me! I would have been happy giving her colouring books, but she wanted “real” schoolbooks. Whether your child is an eager beaver like Jade or couldn’t care less about opening a book, preschool is a time to nurture their curiosity. As a mom, you can weave their learning into your everyday life and your child’s interests. Preschool doesn’t have to mean sitting a table doing workbooks, as Jade and Pearl like doing. It could mean borrowing all the books about dinosaurs from your library and reading them to your son. It could be tracing letters in the mud or sand outside. It could be counting blocks in a tower or counting steps to the park. I used Catholic Heritage Curriculum’s preschool books for Jade. We focused on learning one letter per week. 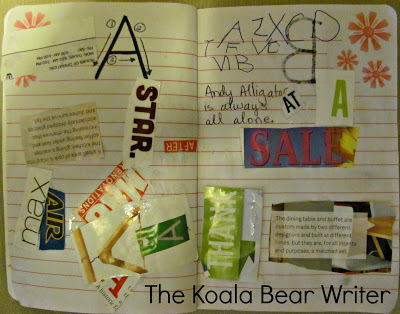 Each page has pictures of the letter, pictures of objects that start with that letter (like flowers for F), and a space for the child to draw or glue more pictures. Jade really likes stickers, so I grabbed various packs of stickers at our dollar store for her to use. For example, she stuck fish stickers in her book for F.
The Fruit of the Spirit Curriculum was developed by Leigh Ann Dutton for her own sons. It’s a downloadable eBook designed to help you teach early learning skills to your child while instilling God’s truth. One week at a time, Leigh Ann will guide you through sharing the Gospel with your child with fun Bible stories and learning opportunities. MathSmart Preschool Books are a great way to introduce numbers, patterns, comparisons, and more to your child. 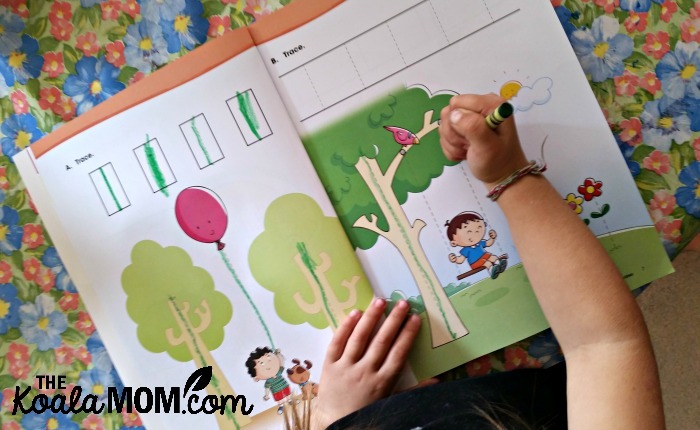 These fun activity books have your child tracing, cutting, gluing, colouring, and more. These workbooks are brightly coloured and engaging for young learners. Jade finished her first workbook in about a week and wanted another one! You can also check out the Preschool Playground at SchoolhouseTeachers.com. There are a huge variety of resources available, from math to science to social studies and more. As a member, you can access a guide to using the Preschool Playground as a full curriculum for your preschooler. Or you can just pick and choose the resources, supplementing other curriculum or following your child’s interests. Jade really liked the Charlie Church Mouse videos. 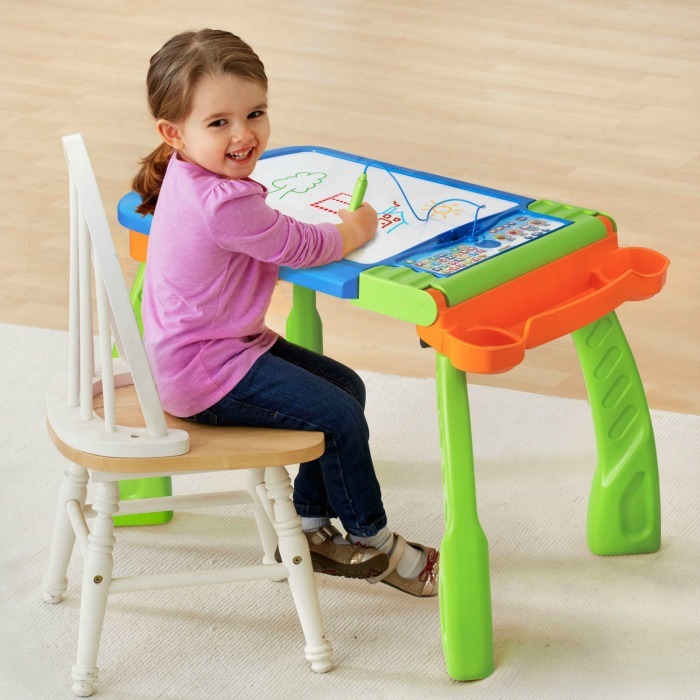 Shop Educents for more activities and ideas for your preschool homeschool. Many items are downloadable instantly, so if you have a preschooler who is demanding some new learning activities immediately, you can capitalize on that desire to learn. With all three girls, I’ve done lots of alphabet activities. Again, this can be as simple as reading a story like Ella the Elephant and pointing out the E in her name. Or your child can make their own letter E. For Sunshine and Lily, I used a notebook for all their alphabet activities. It made a fun memory for the end of the year and was easy to take with us. Jade had a lot of fun last year creating alphabet posters. We did one poster for each letter. Usually I’d draw the letter on a piece of construction paper, but she drew some of the last letters (like Y) herself. Then she decorated the letters with various materials; for example, I gave her buttons to glue on her B, sparkly jewels to stick to her J, yellow yarn for Y, etc. I also used one of Jade’s colouring books to reinforce letter sounds. I felt like I was bribing her to colour; the first day I suggested she do some colouring while her sisters did school, she howled, “Colouring isn’t school!” She really wanted to be doing school. So when I pulled out her colouring book, I told her we were looking for letter pictures. I’d say the name of the picture until we found pictures that went with the letter of the week, like Flowers or Fish or Flamingoes. Then I wrote “Ff” around the picture and she coloured it. 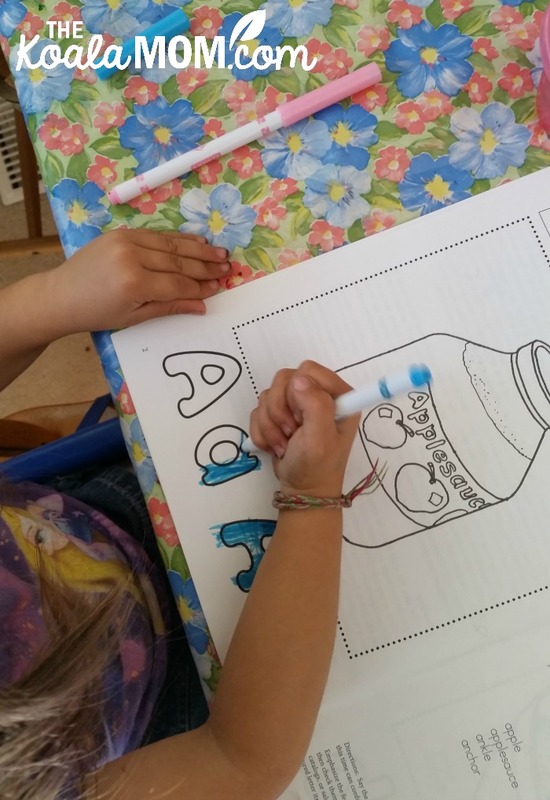 Alphabet tracing sheets are a great way to work on fine motor skills, pencil grip, and letter recognition. Jade loved doing tracing pages, so I was constantly looking up and printing new pages for her. Get creative in what they use to do the tracing sheets with—markers, crayons, etc. You could also laminate the tracing sheets and then have your child use a whiteboard marker to trace the lines. Alphabet-themed crafts are always fun as well. If you’re doing a letter a week, have your child make an alphabet hat to wear for the week! Jade liked making little alphabet books or brochures. These fit her small hands and she could take them with her when we went out. Of course, you could do similar activities around numbers. Focus on a number a week. Look for books that include numbers and counting (like Ten Apples Up on Top). Count things around you. Draw numbers—on paper, in sand, with shaving cream, etc. There was a time when I looked down upon moms who gave their kids tablets and phones. Now, my toddler is the one who asks for my tablet as soon as she wakes up. My toddler is also the one who can count to ten and say her alphabet, thanks to an app. While I still try to monitor how much time the younger kids are spending with screens, I’ve come to appreciate educational apps. Tiggly was the first kids’ app I installed on my tablet. There are quite a few free Tiggly apps in the app store. You can also buy shapes and counters to go with the app. These are great if you have a tactile learner. Tiggly apps reinforce counting and letter skills. 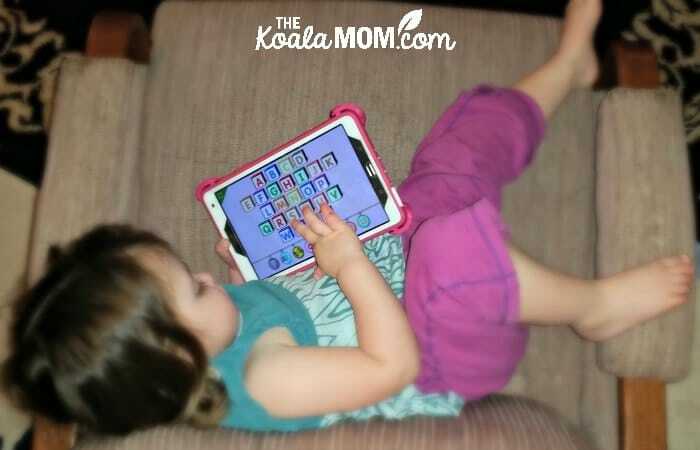 Starfall has been Pearl’s favourite app for the last year (and the reason she knows her letters and numbers). It’s a subscription-based website that works as an app on your device. The girls like listening to stories and songs on the app, but it also has letter and counting games. Reading Eggs has free apps, a subscription-based website, and workbooks. While Pearl can find Starfall on the tablet herself, she needs me to open the Internet and login to Reading Eggs for her to play it. At the preschool level, it has matching and pattern activities, stories, and other activities. Little Saint Adventures is a fun Catholic app for kids ages three to eight. Your child explores engaging games and activities while learning about the saints, sacraments, and Bible. There’s a parent app that keeps you informed about your child’s progress in the kids’ app and gives you discussion questions and activities to further their learning in real life. Keep it fun. Children learn best when they are enjoying themselves. Your little one can learn a lot just by stacking blocks, matching colours, and even catching bugs. Follow their interests at this stage. Be flexible. I don’t have a routine or schedule around doing preschool. If Jade or Pearl wants to “do some school,” then we do it. If they’re happy playing, then I let them play. If we’re in the middle of an alphabet-themed week, and I have a great idea, I may say, “Hey, wanna do a craft together?” Otherwise, I follow their lead about what sorts of activities they want to do. Don’t compare your preschooler to other preschoolers. Everyone learns at a different rate. We know kids who learned to read at age 3; my girls haven’t learned to read until Grade 1. Let your child be herself and learn at her own pace. 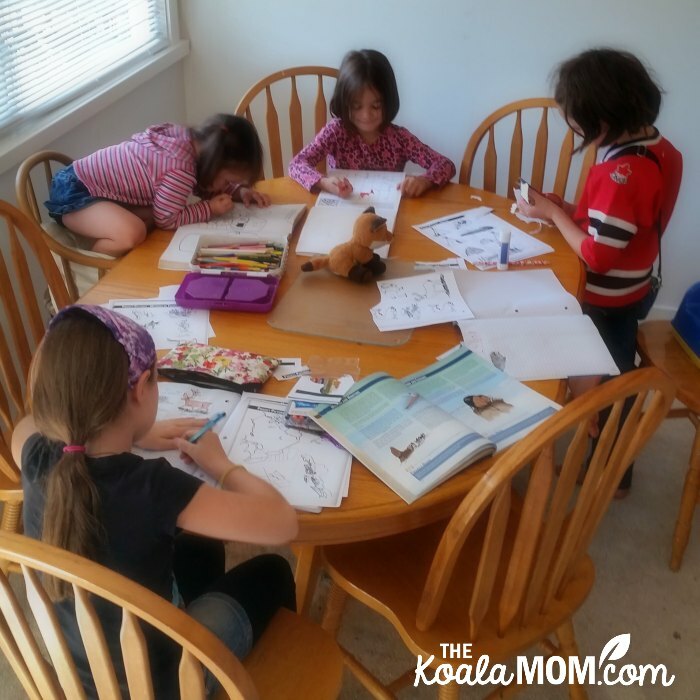 Are you planning to homeschool preschool? If you’ve done preschool at home, what tips or resources worked for you?